The fact is that night driving can be really dangerous, and while it might seem like a good idea, it requires the utmost caution. Even if you are past the provisional license stage, before you choose to do an overnight or past-your-bedtime drive, you should know some things about night driving, darkness, and common supplements like caffeine that you might not already be aware of. Darkness naturally makes you sleepier. Fact: feeling tired when the sun goes down has more to it than your sleep schedule. If you want the long version, click here. But in short, exposure to light diminishes the release of melatonin and similar sleep-necessary hormones, while dark drives them in. Basically, your body reacts to light or lack of light by waking up or going to sleep by nature, not nurture. Of course this doesn’t mean you can’t fight it - but naturally you’re fighting less during the day, or you should be. Darkness naturally makes other drivers sleepy, as well. As if it wasn’t enough that your body is prone to more mistakes at night, so are other people’s bodies! And I promise you you’re not the only one driving tonight - so keep in mind that on some level, nobody on the road is naturally at their best. Stay extra aware, and if you can, bring another person to stay up with you and keep your mind awake. Caffeine isn’t a cure all for fatigue. A common misconception is that sleep equals totally no awareness, and thus being awake equals awareness. In reality, correlation still does not mean causation, and this is what makes night driving especially dangerous - being an awake driver doesn’t mean you’re an aware driver. That said, caffeine isn’t a magic drug that makes you not need sleep, studies have shown. It can keep you awake, but you can be unaware as ever. Driving at night isn’t something you “get” to do. While you may be legally able to drive late at night soon, that never means you should. By doing so you put yourself as well as other people in harm’s way. Please do not view this ever as something to be excited about or something that you can do. Maybe a better question should be “is this something I need to do? I would be willing to bet that 9 out of 10 times, it’s not. Safety first… even when you don’t feel like it. It should definitely be stated that safety, particularly in life-challenging cases, should come first. If you can’t make it to your destination, find a place to pull over and nap if you feel comfortable and safe doing so. However, it’d be best to just not make the drive when you’re tired in the first place - if you can, just don’t even step foot through that door. 3 Reasons Why Parents Need to Talk to Teens About Safe Driving Teen fatalities from car accidents tend to rise in the summer. Parents should model safe driving behavior to their kids from a young age, one father says. Sydnee Williams died at the age of 17 in a car crash after using her phone behind the wheel. Teens have more time for adventures when high school is out for the summer, but these escapades can often turn deadly when they're driving. Ohio dad Brock Dietrich knows this all too well. His 17-year-old daughter, Sydnee Williams, died in a 2013 car crash after using her phone behind the wheel. "She was not wearing her seat belt either, and so as a result, she was thrown from the vehicle and suffered fatal head trauma," says Dietrich. He now works with the nonprofit organization Impact Teen Drivers to educate teens and parents on the dangers of driving while distracted and safe driving practices. Parents should keep the following facts in mind when talking to their teen about safe driving. 1. Car accidents are the leading cause of death for teens. Plus, the number of teen crash fatalities tends to rise during the summer months, according to a AAA analysis. These accidents are often preventable. Parents can help by modeling appropriate behavior​, such as by turning off or silencing cellphones prior to driving, and by discussing ​what safe driving looks like, says Dietrich. These actions should begin at an early age and continue once a teen is licensed. "I have the regret of, I didn't do a good enough job of modeling that normal, good driving behavior for Sydnee," says Dietrich. "I live with the guilt that she learned some of the behaviors from watching me." The National Safety Council and National Highway Traffic Safety Administration​ offer online resources for parents of teen drivers. 2. Often people other than the teen driver get injured or killed. And all states have graduated driver licensing laws, which can include restrictions on passengers for teen drivers. "There's lots of rules thrown at teenagers," he says. Teens need an explanation as to why those rules are important – something he says he didn't provide to his daughter – or else they will rebel, he says​. One passenger in Sydnee's car was wearing a seat belt appropriately and walked away from the crash ​physically uninjured, Dietrich says. The other passenger was wearing a seat belt too, but she ​placed the shoulder harness behind her back and suffered ​serious injuries​. Dietrich says the passengers told him that on the night of the crash, Sydnee – who typically wore her seat belt – was wearing it early in the evening, ​​but forgot to put it on the last time she got in the car. "They let what's going on at the time when they get in the car distract them from what they really need to do," he says. Teens need to make a habit of making sure everyone is wearing a seat belt each time they hit the road. Distractions are often a factor in teen crashes. "It's not that the teens are intentionally going out there attempting to be reckless," Dietrich says. "It comes down to not lecturing to them, but providing the teens with the information to encourage them to make the right decisions when they are in the car," he says. Have something of interest to share? Send your news to us at highschoolnotes@usnews.com. It would probably surprise a lot of people to find out that 75 percent of teens killed in traffic accidents are not the result of alcohol or drugs. Distracted driving kills over 4,000 teens and injures another 400,000 annually. That's the message Zoe Schuler, of Impact Teen Drivers, drove home to hundreds of Righetti High School students and their parents during a series of presentations Wednesday. "We focus on distractions," Schuler said. "We try to get them to understand it could happen to them, but it really doesn't have to." "It" didn't have to happen to Sydnee Williams, either. 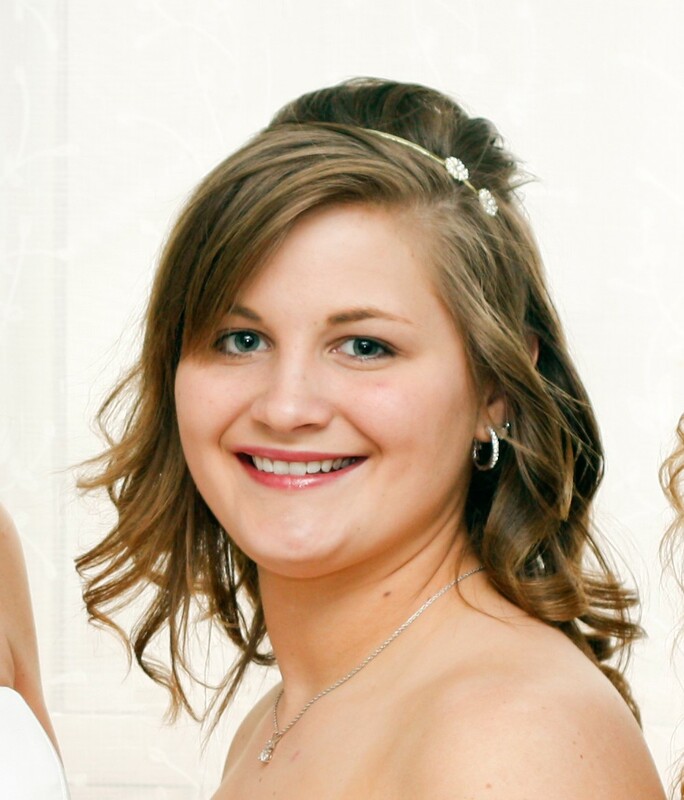 The Ohio teen died in a car crash in 2013 just shy of her 18th birthday. She was driving distracted and not using her seat belt. While one of her passengers walked away from the single-car accident and another was seriously injured but survived, Williams died after being ejected from her car. Now, her story is told to thousands of teen drivers through the Impact Teen Drivers program and her father, Brock Dietrich, is among the most outspoken critics of distracted driving. Most teens know the dangers. According to a survey by the University of Southern California Annenberg Center for the Digital Future, 87 percent of teen respondents said they know it is dangerous to text while driving, but 18 percent added they still use their phones to talk and text while driving. Schuler said it's not just cellphones that create those distractions. Loud music, rowdy passengers and their electronic devices and reckless driving also play into the accident statistics. "This assembly really brought to my awareness how dangerous driving and texting can be. And how it can affect other people and not just myself," said 17-year-old Mitchell Silva. "I got my license right after I turned 16. Everyone is always excited when they do that. "It helped me realize that I need to tell somebody when they're driving dangerously to protect myself." The Impact Teen Drivers program featured a Parent-Teens Workshop on Wednesday evening that educated parents about their children's driving safety. California Highway Patrol Officer Matt Kenney and Santa Maria Police Officer Ron Murillo provided information about the state's Graduated Driver's License laws and provisional licenses. All 50 states have adopted some form of graduated driver's licenses, which include restrictions to teens' driving rights. Provisional licenses restrict new drivers from having passengers under 20 years old unless a licensed driver 25 or older is in the car. It also prohibits new drivers from driving between 11 p.m. and 5 a.m., unless they are accompanied by someone 25 or older. Schuler told the students the laws make a lot of sense and are written to protect them. "It's just like when you learn to swim. Hopefully, your parents don't throw you in the English Channel and say, 'swim,'" she joked. "You graduate from wading to using floaties to swimming." COLUMBUS, OH. - What Do You Consider Lethal? For most of us, the first things that come to mind are diseases, natural disasters, or weapon-wielding criminals. During National Distracted Driving Awareness Month in April, however, State Farm®, Impact Teen Drivers, and FCCLA teen leaders will work together to emphasize what is most deadly to teen drivers —reckless and distracted driving. Moreover, teens will learn that their number one killer is 100% preventable, if drivers and passengers make good decisions. Teen safe driving is a top priority for State Farm. State Farm is dedicated to supporting community and school based programs throughout Ohio. “State Farm is proud to work with Impact Teen Drivers and the FCCLA to bring youth leaders from across the state together working to stop the number one killer of teens in Ohio—reckless and distracted driving. State Farm’s website has comprehensive free tools, tips, and resources designed to help teens and their parents throughout the learning-to-drive process,” said Kim Lust. Impact Teen Drivers uses a multifaceted approach to educate teens and communities about the dangers of reckless and distracted driving. Through the What Do You Consider Lethal? program, teens are engaged and empowered to make good decisions behind the wheel and spread the safe driving message to their peers. In Parent-Teen Workshops, parents are taught that they are the primary influencer of their teen’s driving attitudes and behaviors—and that “Do as I say, not as I do” doesn’t work. Using a Train-the-Trainers approach, Impact Teen Drivers educates first responders, the consequences of distracted driving, but also empowers them to lead by example and spread the safe driving message.